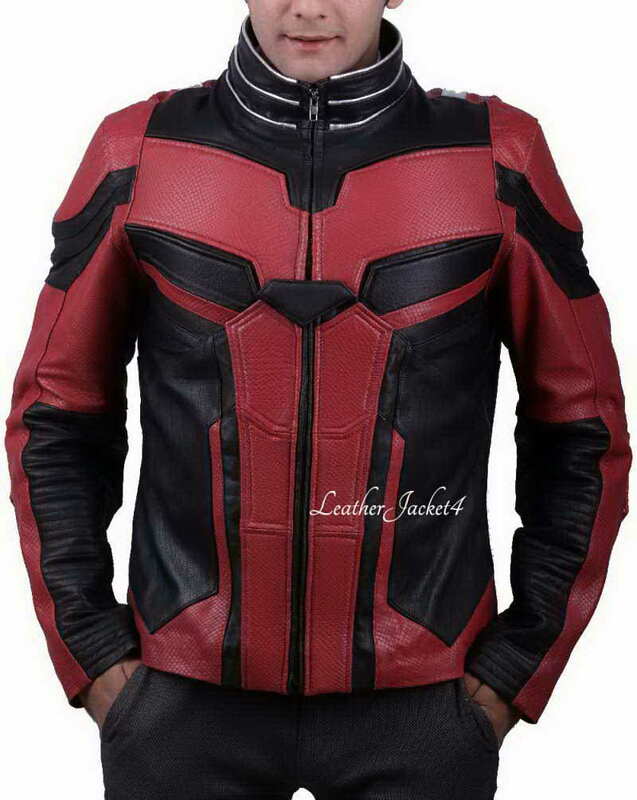 Inspired by the recent movie Ant-man and the wasp 2018, here you can find the costume of Ant Man that we have observantly created for all fashion disciples. 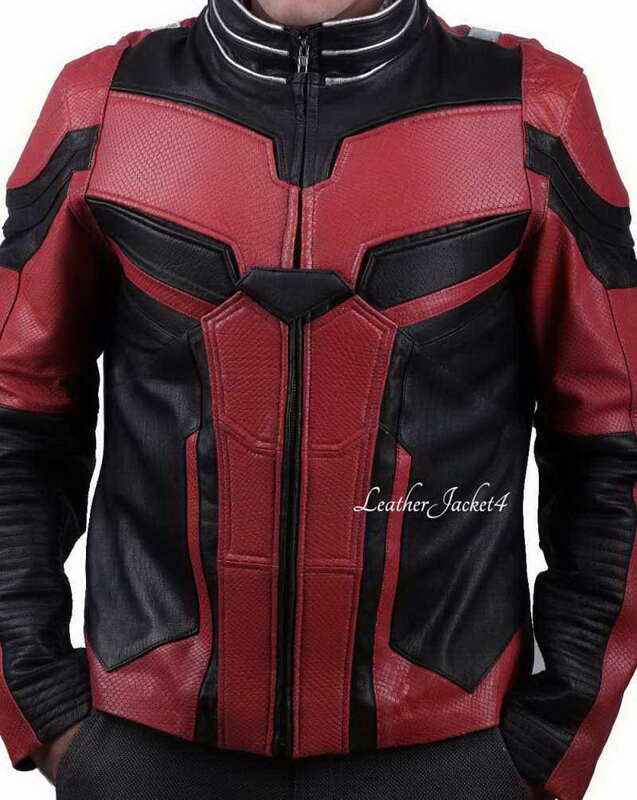 It is the first copy of Paul Rudd jacket which he wore in the movie. 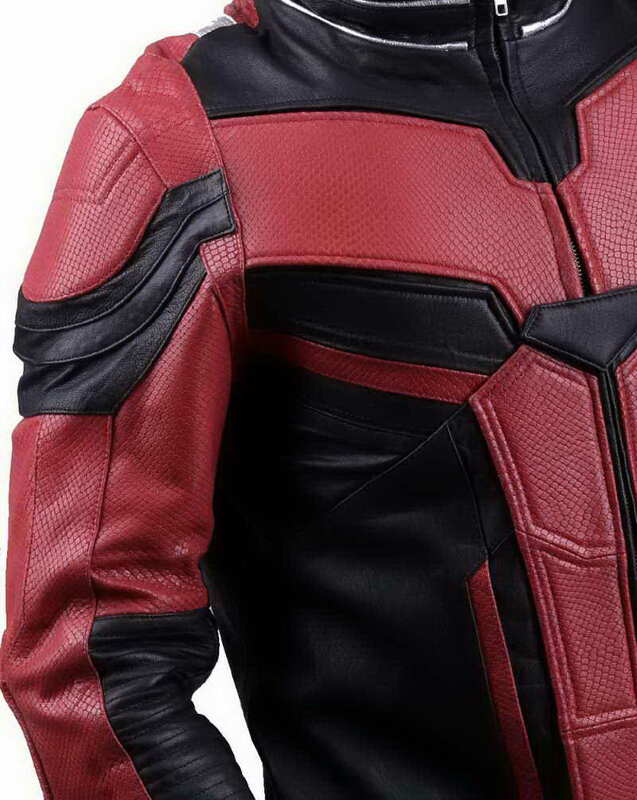 The super actor Paul Rudd picturized as Scott Lang in Ant Man and it gave us another superhero costume to try on upcoming Halloween night. 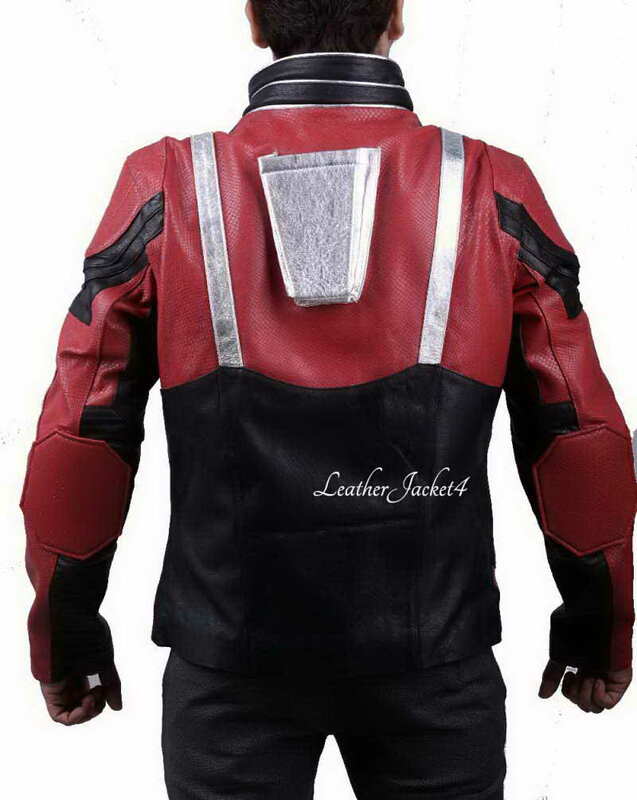 The Paul Rudd jacket is created in a real leather combine with viscose inner linings for a soft and calm feeling in winter. 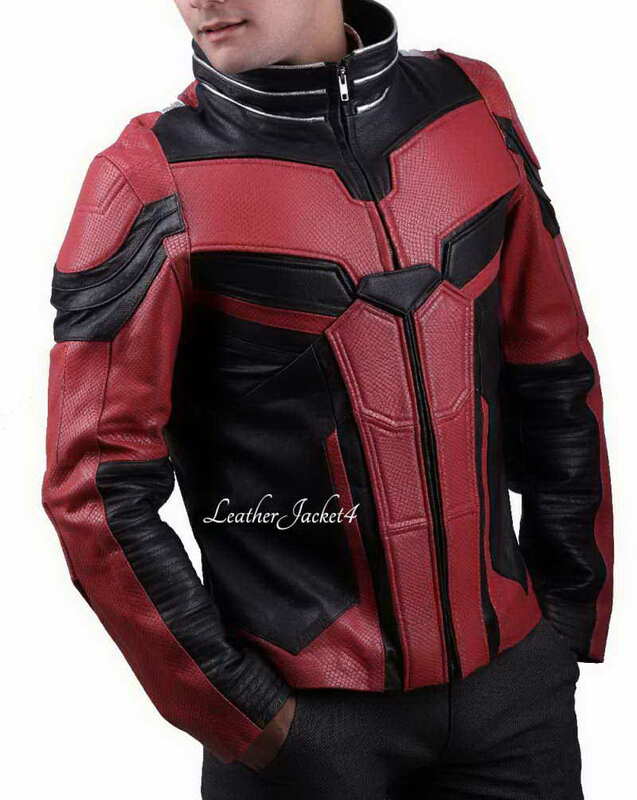 This Ant Man and the Wasp Scott Lang Jacket is featured bright red color that is wonderfully diluted on dark black background shade. 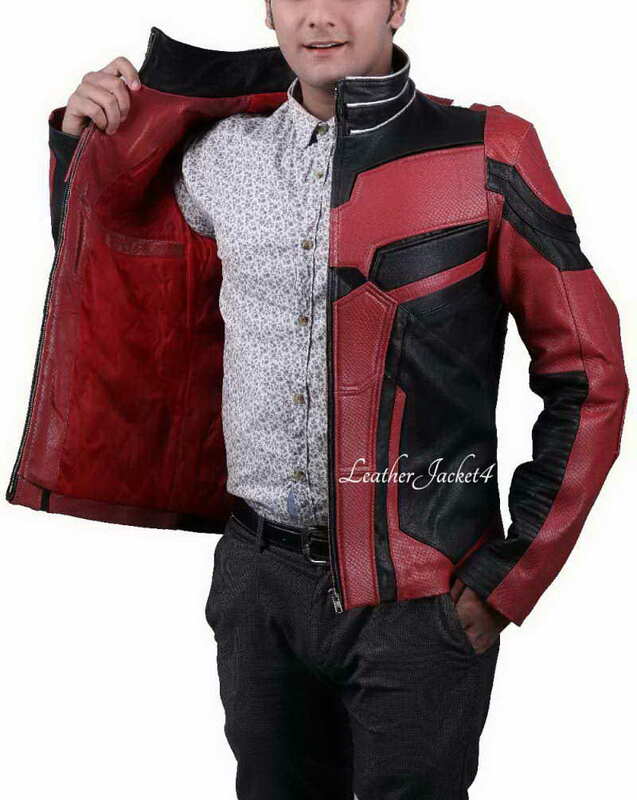 It has long sleeves with round cuffs and stands up style collars with zipper closure. 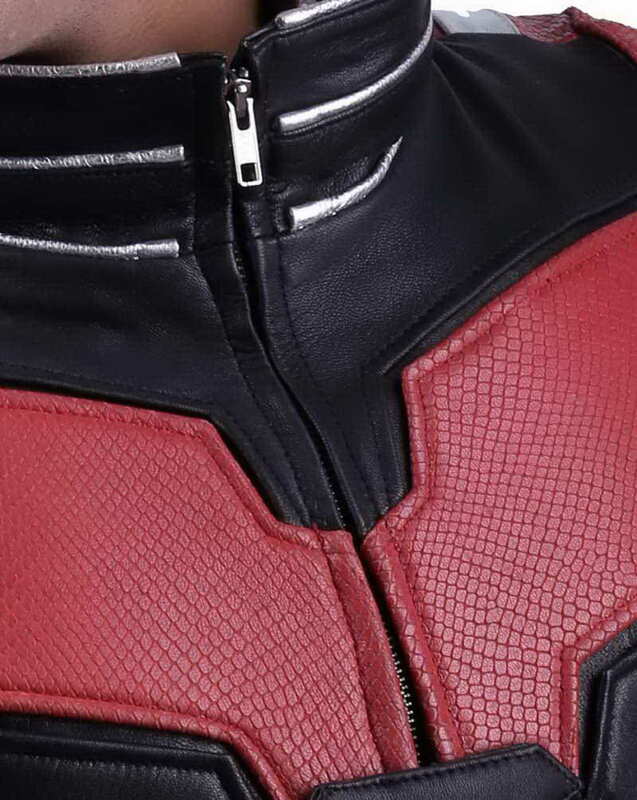 A belt on the hem is incorporated for better fitting. 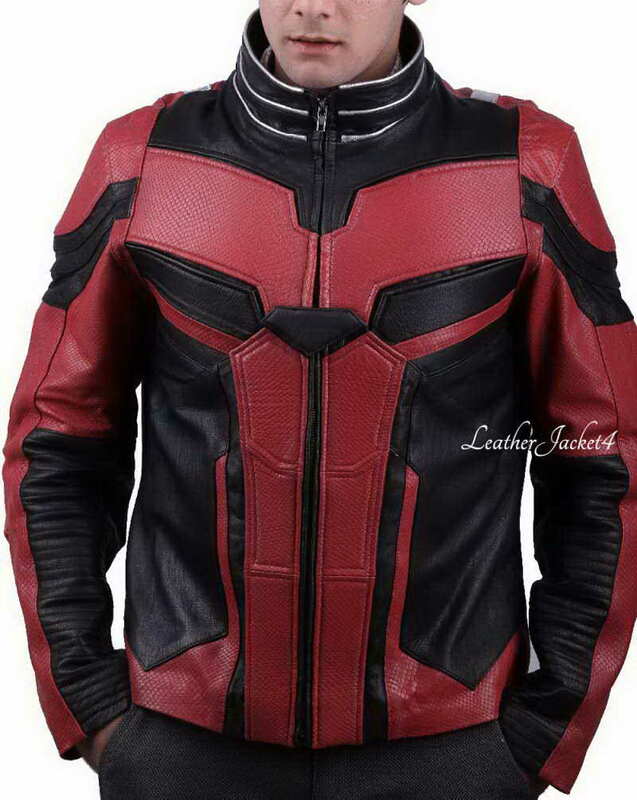 My love for Ant-Man Jacket is half fulfilled after II've bought this jacket. It fits like glove, I can try this on the upcoming Halloween party. Thanks in advance. You definitely recommend to other friends.